Happy Easter! I hope you are all doing well and are having a wonderful Easter weekend so far. I have had a lovely day with my family and I have enjoyed forgetting about the diet for a little while and actually enjoy some sweet treats haha. Now, it is no secret here on my blog that I have a huge obsession with hairdryers and I am constantly on the hunt to find the perfect one that can work well enough with my hair. I have said it before and I will say it again...one thing we can never have enough of in the Meola household are hairdryers. My Mum and I both have really long, thick and naturally wavy / curly hair so we always need a fabulous hairdryer on hand to tame our locks. In the past, I have reviewed the Panasonic Nanoe, GHD Aura and also the Toni & Guy Compact AC Power Dryer - if you would like to read my thoughts on those I have linked my previous posts. So, when Remington got in contact with me to see whether I would be interested in giving their new Shine Therapy Dryer* a try I literally jumped at the chance...and my hair is absolutely loving it! So, after incorporating the Shine Therapy Dryer into my hair care routine for a good month now I thought it was about time I share my thoughts with you all. Also, giving that it is Easter and I have been feeling extra chirpy I thought I would finally reveal a special little giveaway I have been working on with Remington for one of my lovely readers - stay tuned to the end of the post to find out more! Remington is a brand that has been grasping the beauty communities interest with their fabulous product portfolio. Damp, rainy weather (which is quite prone here in the UK) causes hair to misbehave and as a result our locks can look limp and lifeless. With Remington's latest launch, you don't need to dread the April showers as the Shine Therapy works to add shine and create head-turning, sleek and professional results! They actually sponsored the Cosmopolitan Blog Awards last year so it was great to see some of the tools in action and meet some of the team on the night. The last styling tool I had the opportunity to try from their product wardrobe was their Curl Revolution and I don't think I had ever tried anything like it before. If you would like to see a review of this also then please let me know - I think you'll love it! Like I mentioned in my previous post, washing, drying and styling my hair leaves me feeling physically and emotionally drained. Don't get me wrong, I absolutely love my hair when it is freshly washed and styled but boy is it a process. Like I mentioned above, I have quite long and thick hair which means I need a hair tool that I feel confident in using...especially If I am in a hurry and I need a full-proof tool. The Remington Shine Therapy Dryer has been designed to deliver beautifully glossy, frizz-free shine with every blow dry. The dryer itself uses an innovative ionic technology with its state-of-the-art generator, which emits 90% more ions for incredible, long-lasting frizz-free results. As you style and use the dryer, hot air travels through the grille and releases more ions than a standard dryer - pretty fabulous right?! The grille is also removable which makes cleaning and maintaining the dryer incredibly easy. The Remington Shine Therapy Dryer also features two speed settings and three heat setting so you can create a bespoke experience when drying and styling your hair...it is all about your hair type or preferences. The dryer itself also packs a punch with 2300 watt's power with a speedy airflow of 85km to deliver fast drying results with total ease and no damage. I usually dry my hair on the maximum speed purely because I know it's going to speed up the drying process and I was so impressed with it. I usually dry my hair without any attachments, however, if you are a fan of these then Remington have you covered...there are two featured in this kit. 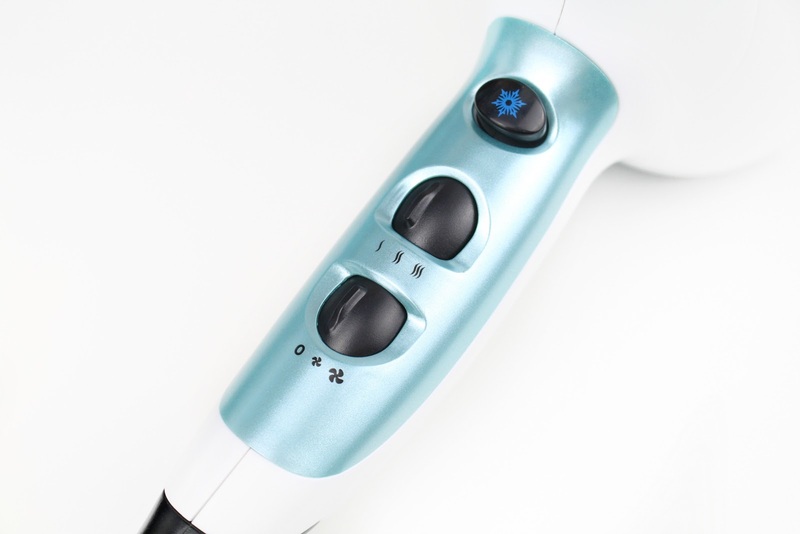 The first attachment is the concentrator nozzle which helps you focus the powerful air flow to deliver accurate styling. The second nozzle is the diffuser and this is designed for naturally wavy / curly hair, however, it also helps you create volume, which is fabulous. Does anyone else find it hard using a diffuser?! I swear even after working in a salon we have this love, hate relationship...I always end up knocking myself out with it haha. Not only that but the dryer also has a handy dandy cool shot feature. I love using a blast of cold air on my hair after styling as it helps keep your style in place but it also closes all of the hair follicles which reduced frizz and enhances shine. 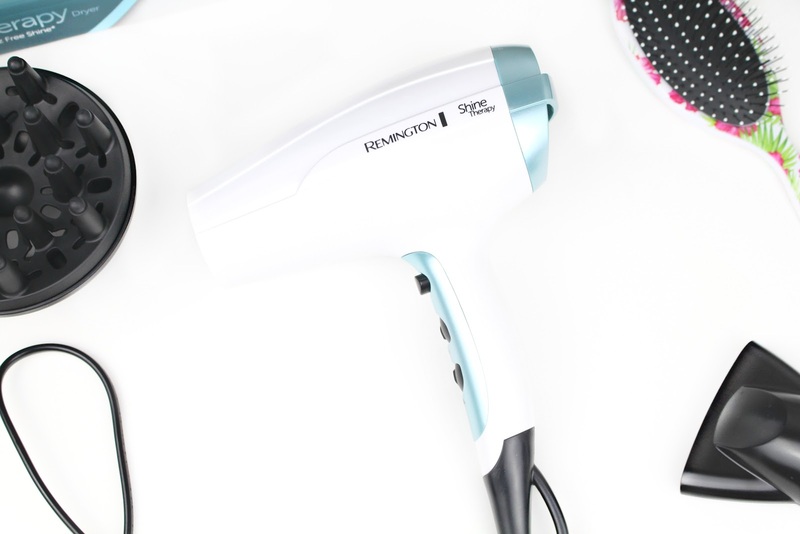 Overall, I have really been enjoying incorporating the Remington Shine Therapy Dryer into my hair care routine and I haven't been reaching for anything else. Also, can we take a moment to appreciate how cute it is?! The design is so aesthetically pleasing with the white and pearly mint accents...it almost reminds me of something Elsa from Frozen would use! Coming in at £26.99* I think this is a complete bargain and I would recommend it to anyone. 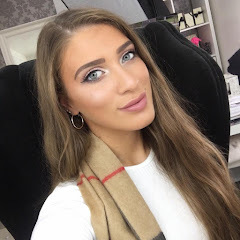 I have undergone a hair routine transformation recently and I have been incorporating a wide range of new products so if this is something you would like to see then please let me know. Now, on to the fabulous giveaway! This is my first giveaway of 2016 and I am over the moon about collaborating with Remington and being able to offer one of my lovely readers this prize. 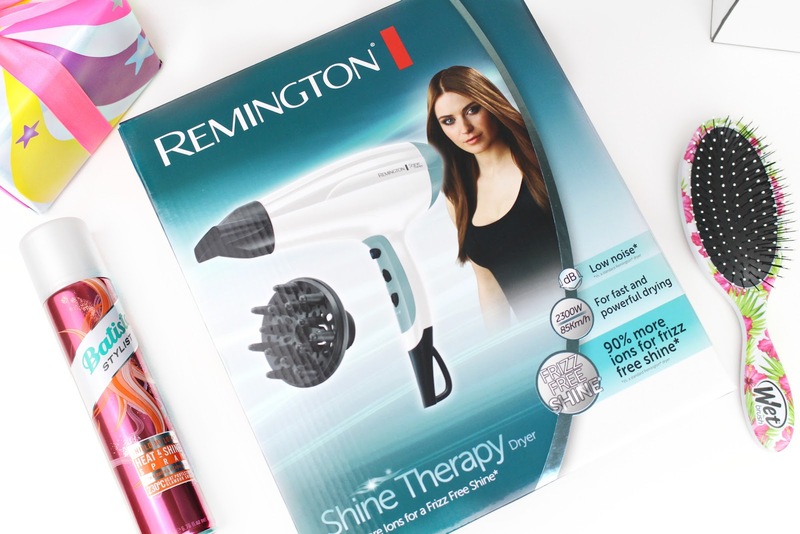 Remington have put together a care package consisting of the Shine Therapy Dryer, a Remington hairbrush and also a super cute Cath Kidston Umbrella. Thank you so much for stopping by and checking out my latest review. Like always lovelies, if you have any questions, requests or if you just want a chat you can contact me on my social media or leave me a comment below. I love hearing from you all and I make sure to read every single comment…they really make my day! For me it is my straightners! My favourite tool has to be my GHD's although I'm currently trying out some new straighteners that are incredible so only time will tell I guess. Amazing giveaway, thank you! Ok I feel like I have to try this! My GHD heat spray protector keeps my hair frizz free, love my babyliss curling wand too! My tangle teezer and GHD Air hairdryer are absolute god sends for damaged blonde hair like mine!